At Fort Bend Periodontics and Implantology, we’re dedicated to bringing our patients the best care possible. That means investing in state-of-the-art technology and staying at the leading edge of new techniques. Dr. Dyer is a leader in the field of laser dentistry, so you can rest assured that he will provide you with exactly the care you need to improve the health of your gums and teeth. Thanks to our hard and soft tissue lasers, Dr. Dyer is able to provide precise, comfortable treatment faster and with better results than traditional oral surgeries. 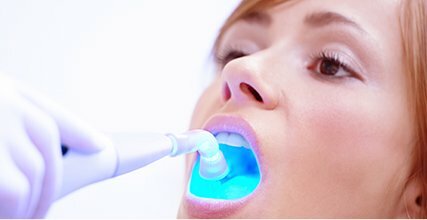 With laser dentistry, many treatments no longer require anesthesia. There is little to no swelling and recovery time is faster than other methods. With our hard tissue laser, we can complete treatments like bone regeneration and improving tooth sensitivity. We use the soft tissue laser in treatments such as gum reshaping, gum surgery, and correcting muscle attachment issues. 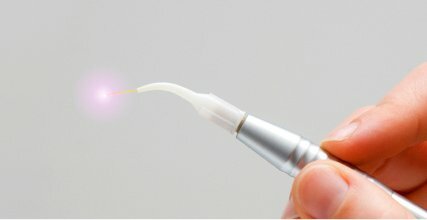 Other laser dentistry treatments include removing benign oral tumors, regenerating nerves, relieving sleep apnea symptoms, whitening teeth, and treating TMD pain. 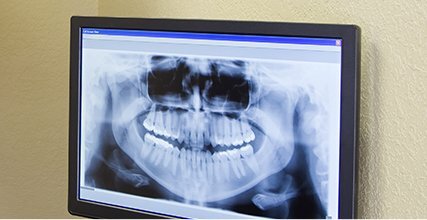 Compared to traditional dental X-rays that use uncomfortable film and take a while to process, our digital X-rays are more comfortable to take and give us the images almost immediately. This means we can begin developing a treatment plan fast. We use 3D X-rays to help inform our treatment plans, especially when it comes to dental implants. The images they give us allow our team to ensure that the shape of your implants is customized to your mouth, so they’ll fit comfortably and give you a natural-feeling bite. This therapeutic option for curing infections within teeth is a more conservative treatment method than a root canal. Using ozonated water or gas, ozone therapy fights the bacteria at the heart of your tooth infection, destroying it with no unpleasant side effects and leaving you with a healthy tooth once again.